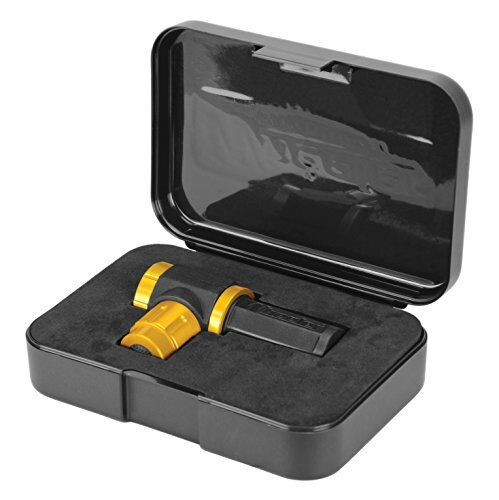 Laser bore sighters (or laser bore sights) are used to make sure that your gun is still properly calibrated even after a long trip. A laser bore sighter can make sure that you do not waste any of your ammo checking to make sure that your gun barrel is still calibrated accurately to your scope. A laser bore sighter is a small laser pointer that is made to fit in the barrel of a gun. Laser bore sighters come in a wide range of styles, from universal sighters to more specific sights made for different ammunition chamber sizes. A laser bore sighter will allow you to make sure that your gun is still functional while on the go, without causing you any additional hassle when trying to re-calibrate your weapon. Investing in a good laser bore sighter for hunting is crucial to ensuring that your shot is always on target, no matter how far you have hiked in with your gun. Making sure that your hunting rifle or shotgun is perfectly aligned can ensure that you don’t miss out on the perfect trophy on your hunting trip. There are a number of different styles of bore sighters, with different designs and features. Many are made to work with one specific caliber. That is great if you only have one type of gun. But for many of us who have variety of rifle styles and calibers, a universal laser sighter is more useful. That is why our choice for the best laser bore sighter is the SiteLite Ultra Mag. How does a Laser Bore Sighter Work? 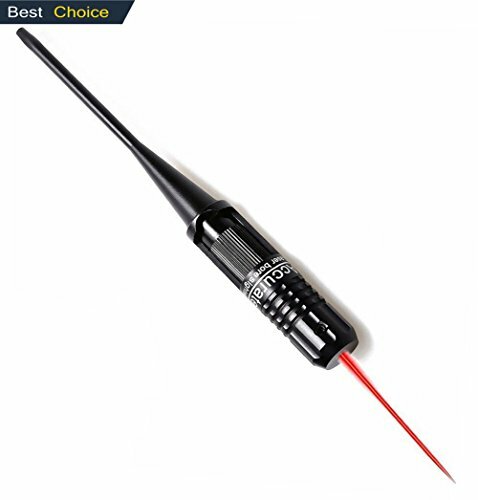 A laser bore sighter is similar to a normal laser pointer, as it is usually operated off of phone batteries and produces a long-range beam to help center the muzzle of your gun. Laser bore sighters come in a varied range of makes and models. Some are more specific to a set types of gun, such as a 9mm laser bore sighter or a shotgun shell sighter, while others are specifically crafted to be universal to almost all kinds of guns. A laser bore sighter is easy to bring in with your hunting kit, as it is only as big as one round of ammunition for your gun of choice, and can be easily kept in a side pouch for on-the-go calibration to make sure that your scope or sights are aligned properly. 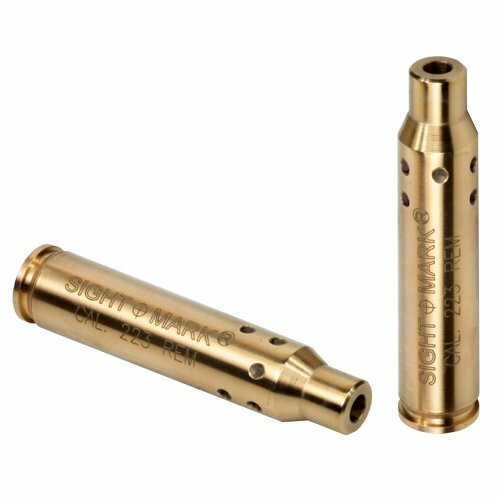 Simply insert the laser bore sighter into the ammunition chamber of your weapon, making sure the laser itself is turned on, and use the precision beam to help you adjust your sights or scope to the correct alignment. A laser bore sighter is useful in situations where you cannot usually fire off a test round, such as in a situation where a shot would alert any nearby animals to your presence, and can help you conserve ammo in the long run. If you have a large range of gun types in your hunting arsenal, a more universal laser bore sighter may be right for you, as it can be used with a wide range of guns without having to worry about the chamber specialization. The downside of a universal laser bore sighter is that it is not necessarily as precise on all types of guns as the correct ammunition caliber laser bore sighter would be. If you find yourself hunting most often with shotguns or guns that require 9 mm ammo, investing in a specific laser bore sighter may be more beneficial to you in the long run. It is important to do your research on what kind of laser bore sighter works best for your specific hunting weapons, as many times the product reviews will include individuals who have used the laser bore sighter on your weapon of choice before, and can attest to how easy or difficult it is to calibrate their weapon using the particular sighter. 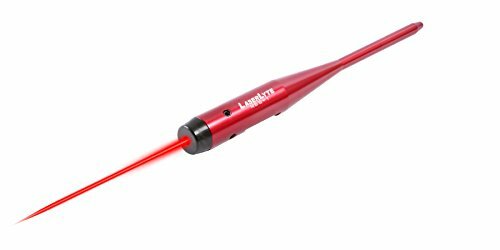 A laser bore sighter can help increase your accuracy, and save you time and frustration while on the hunt.